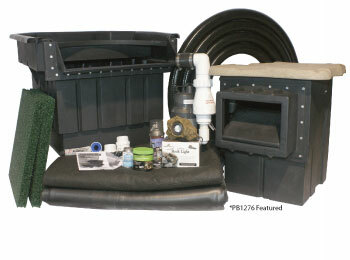 Complete pond kits will help you easily install a beautiful water garden! Water garden kits are available in a variety of sizes and specifications and come with everything you need "Ready to Order". 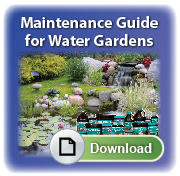 Water garden kits include filters, pumps, plumbing, 4-color step-by-step instructions, DiY resource information and may also include water treatments needed to maintain your water garden pond. 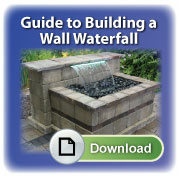 Water Garden Kits Make It Easy! Cash & Carry making it great for D.i.Yers! 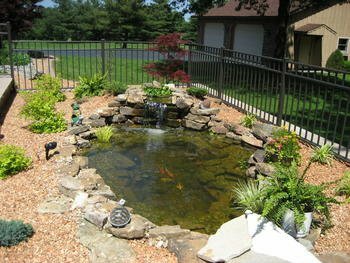 Large pond size allows more room for plants and creativity!